Cluster flowered bush rose. Very fragrant, double, deep burnt orange flowers, borne in sprays during summer. Glossy dark green foliage with relatively large leaves. Vigorous grower and good disease resistance. 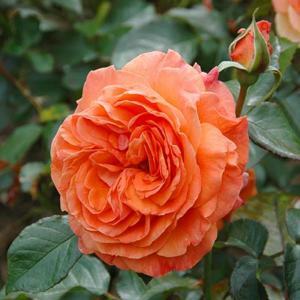 Raised by Fryer's Roses, introduced 2000. Named to celebrate tha first RHS show at Tatton Park, Cheshire.